Relax, unwind and enjoy the best of what Northumberland has to offer. 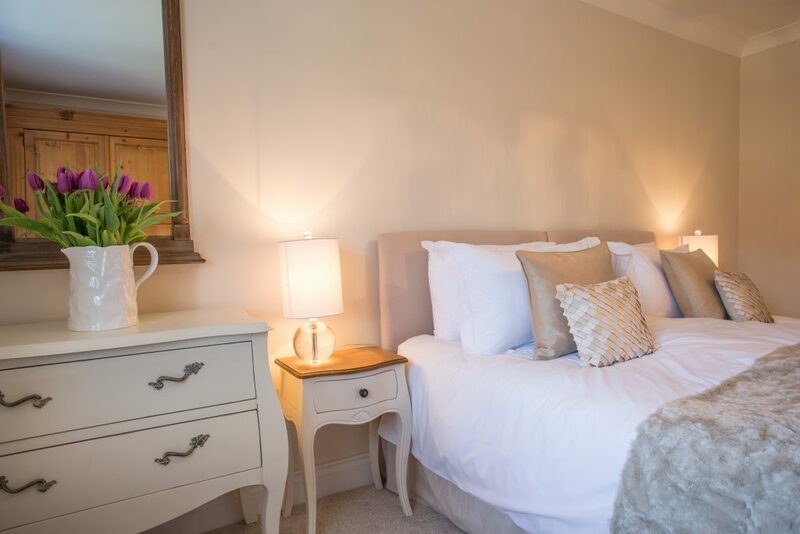 Percy Cottage at Chatton is the perfect retreat for couples wishing to visit Northumberland. Situated next door to arguably one of the best small country pubs in the area; The Percy Arms. We’re so pleased to have this gorgeous cottage join our collection as its location is perfect for exploring North Northumberland. 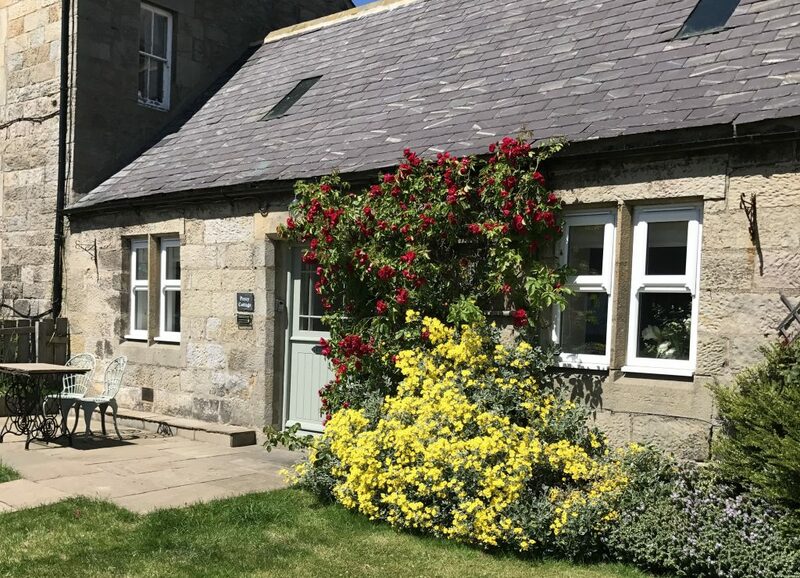 Chatton is a picturesque and unspoilt Northumbrian village nestled between the dramatically beautiful Cheviot Hills and the beautiful Heritage Coastline. With a well-stocked village store and post office, renowned local art gallery and historic Church and one of the best pubs in Northumberland all within a few yards of the cottage, it also has more local facilities available less than 5 miles away at the nearby quaint villages of Belford and Wooler. The cottage has retained it’s original features, such as the impressive inglenook fireplace with a wood burning stove, with logs provided between October and April. The downstairs is decorated with delicate and neutral hues, combined with many thoughtful touches to make your stay relaxing and comfortable. Intimate for a romantic break away, Percy Cottage also has the added benefit of having all the accommodation laid out on one level. Free Wi-Fi broadband internet access throughout the cottage and up to 2 well behaved dogs welcome on condition that they are not allowed on the furniture or left unattended for an additional £20 each. 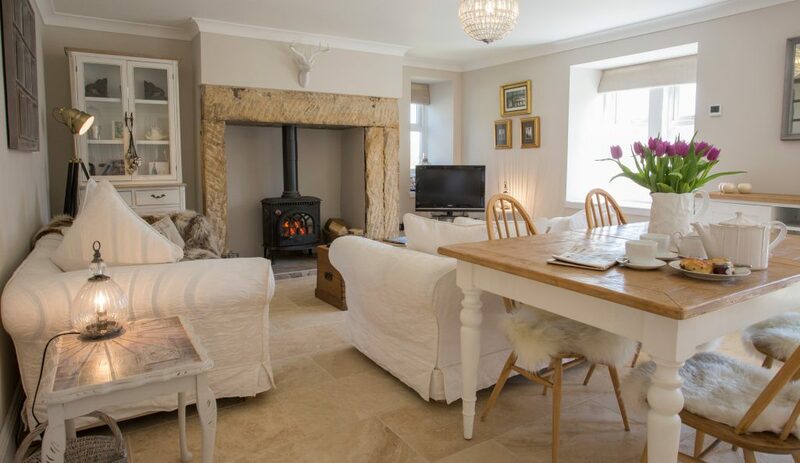 Entrance into the cottage is into the lounge/dining room with an inglenook fireplace housing a cosy wood burning stove and underfloor heating, flat screen TV with DVD player and a mp3 docking station. This room is spacious and benefits from a large, south-facing window letting natural light flood into the room. A small but well-equipped kitchen. All the appliances you should require for your holiday are here, including an electric oven and hob, full size dishwasher, fridge/freezer, washer/dyer, microwave, toaster and electric kettle. Underfloor heating. The master bedroom is spacious and tranquil. It has a large, south-facing window overlooking the village and underfloor heating. It has a superking-size bed (6ft wide) which is convertible to 2 single beds upon request, if preferred. There’s plenty of storage with a wardrobe and chest of drawers. A blackout blind provides sleep comfort for bright sunny mornings. Luxury bed linen and fluffy towels provided. The front garden is very pretty and looks out to the village of Chatton. It is fenced but with a very small fence. It’s lawned and access to the front door is through this garden up about 5-6 steps. There’s also a table and 2 chairs for sitting out on fine days. Delicate ivory and sand colours paired with exposed stone, heavy knit throws and original sandstone inglenook fireplace create the ultimate French boutique country living style in beautiful Chatton in Northumberland. The real fire in the original inglenook fireplace is a gorgeous feature in the room, with the huge flat screen TV and comfy sofas, you will feel instantly at home. The country French-style cottage is light and bright, with exposed stone and lots of original features. The dining table is in the spacious lounge, ideal for a spot of breakfast before a day of exploring. The super king size bed is the epitome of luxury. The bed can also be separated to create 2 single size beds if you wish. French country style teamed with delicated linens and heavy stone walls create a boutique country feel. Plenty of storage in the spacious bedroom, with a romantic feel using soft colours and textures. The warm, clean and well-stocked kitchen is brand new, bright and airy. With matching worktop appliances it feels very interior-design led. 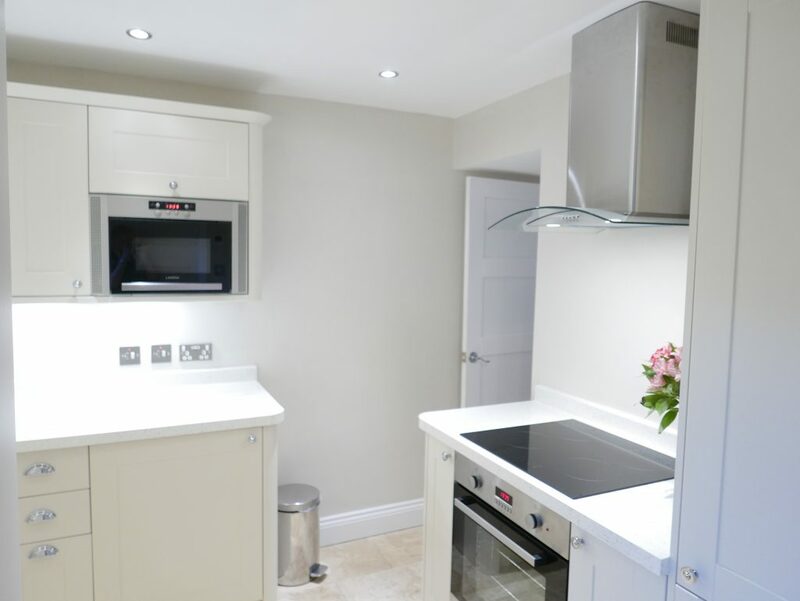 The clean and modern kitchen is still homely and warm, the perfect place to cook up a hearty breakfast! The modern bathroom comes with complimentary White Company toiletries. Can you get any more gorgeous than this? 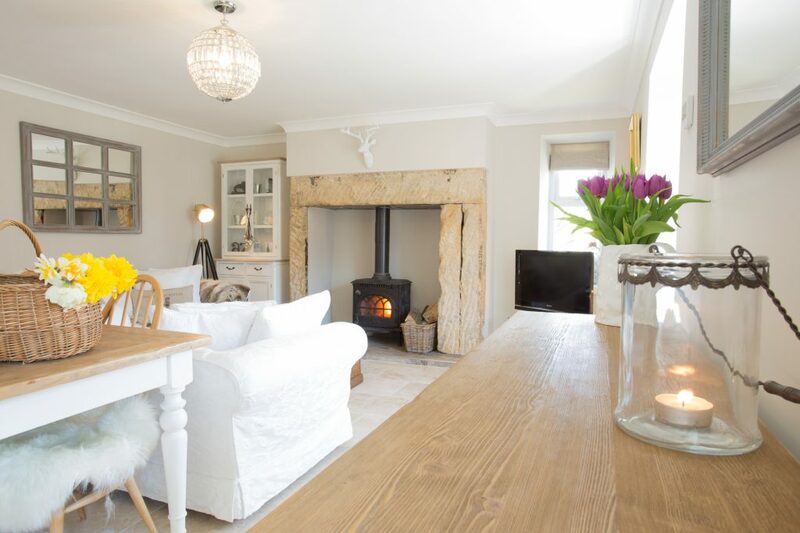 How divine to arrive back to this idyllic cottage after a day out at the coast. The Percy Arms Pub is just next door - handy or what? Their beer garden at the front is pretty and quiet, so you can pop next door for a drink. The beautiful valley leading down to Chatton village. A picturesque approach to your quaint holiday destination. We are so lucky to have this incredibly scenery on our front door step. Luxury welcome hamper including White Company toiletries and bespoke area and property guide. Wood burning stove. One baby welcome. Travel cot and highchair available upon request. Two well-behaved dogs welcome for a charge of £20 per dog per holiday. Booking conditions apply. Dog sitting service available. Access to Percy Cottage is through the front garden leading to the front door. The garden is elevated above the main footpath and has a table and chairs for sitting out. There is no outside space or access to the rear of the cottage. There is no BBQ at Percy Cottage, but you are more than welcome to bring your own, providing the area is left tidy and the BBQ is disposed of correctly. Parking is available in the car park of The Percy Arms next door to the cottage. Please see more information below. Parking: There is an agreement in place that the permanent residents park on the roadside in front of the cottage which the owners of Percy Cottage wish to respect. Detailed instructions will be provided with the directions and key collection instructions once the cottage is booked. One double room with a super king size bed (6ft). The bed can be separated to create 2 x 3ft wide single beds upon request. Feather bedding and pillows are provided on the bed. There is no alternative available. One bathroom with a large shower, WC and basin with heated towel rail. Fridge/freezer, electric oven, ceramic hob, dishwasher, microwave, toaster and kettle. Washer/dryer, iron, ironing board and vacuum. Hairdryer, books, music and films. TV in the lounge with Freeview and a DVD player, Radio and Music System and free unlimited Wi-Fi. Underfloor heating. Accommodation all on one level, with one step up over the threshold of the front door. There are 6-7 stone steps up to the garden from the footpath, as the garden is elevated above the road. 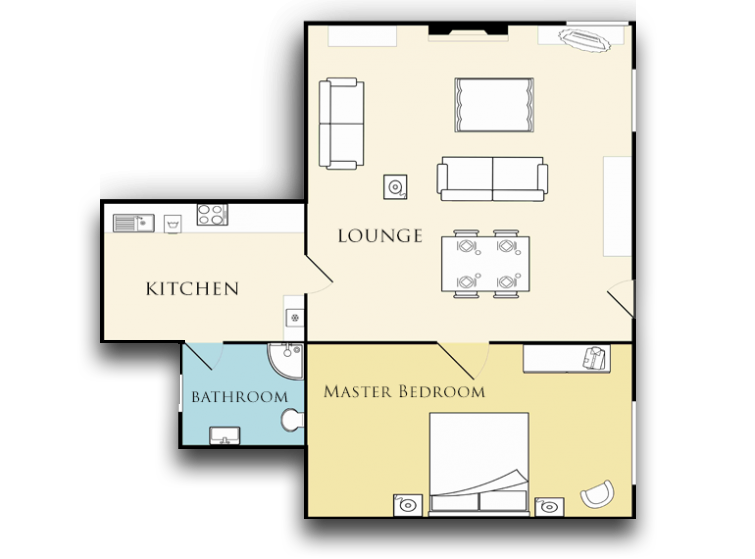 Here is a floor plan of Percy Cottage, it’s not perfectly to scale but provided to give you an idea of the layout. Click on our 3D virtual tour too to take a HD walk-through of the cottage. Chatton is a very quaint and pretty country village, set in a beautiful valley in the Northumbrian countryside. In the village you’ll find The Percy Arms pub and restaurant, a handy village store and post office and the Chatton art gallery. It’s close to Wooler but your nearest popular village is Bamburgh on the coast, which is 20 minutes east in the car, where you will find the beautiful sandy beach and magnificent Bamburgh Castle. Chatton is also less than 2 miles to medieval Chillingham Castle with it’s dungeons, torture chambers and pretty gardens, as well as being home to the world-famous Chillingham Cattle. You can explore the location of Percy Cottage on the map below which gives you a good idea of the area. The postcode of the property is NE66 5PS. To find out the distance from your own home to Percy Cottage, how long it will take to drive there and other options for alternative transport, click here: Percy Cottage on Googlemaps and enter your home postcode in the box provided. The location was excellent and the cottage was more luxurious, comfortable and well equipped than any other cottage we had rented in the past. Especially liked the complimentary toiletries and welcome pack, particularly the homemade cake. Visit Chillingham Castle for the day, a fortified 12th-century castle with lavish state rooms, torture chambers and a formal Italian garden. It is still home to Sir Humprey Wakefield and his family, so on Saturday’s is is kept closed. The Medieval Castle Team Room is open to non-visitors too, if you wanted to skip the castle tour. Private tours can be arranged also if you want the full castle experience! Chillingham Castle is less than 2 miles from Chatton, just 5 minutes in the car. Why not hop on the train to Edinburgh for the day? It is so easy to reach from Berwick station, it’s only 40 minutes on the train and you are in the centre of the city. Check out this great little blog on some of the best things to see and do in Edinburgh. Our favourites are discovering the warren of Edinburgh’s hidden streets at Mary King’s Close, having cocktails in the Juniper bar and heading up there for the Christmas markets from the middle of November. Stay local and spend a day relaxing in the cottage and staying local. Visit the Chatton Gallery just along the road to see if you can pick up and arty souvenir, and have lunch or dinner at The Percy Arms next door, a newly renovated country gastro pub. “We love the location of Percy Cottage, which is in the heart of rural Northumberland in the village of Chatton. It is ideally located to explore both The Cheviots and The Coast in Northumberland. The Cheviots nestle up to the Scottish Border, the landscapes are awe-inspiring and surrounded by wildlife and wilderness, it won’t disappoint explorers!